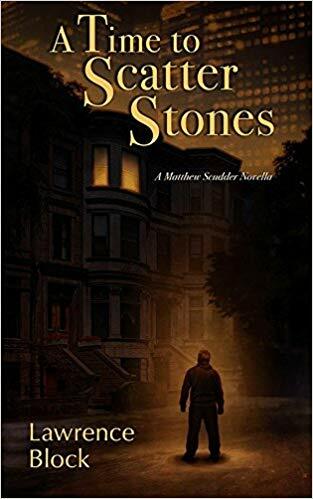 Matthew Scudder is back more than a decade since his last appearance in A Time to Scatter Stones. The Scudder series began in the 1980s. Now decades later, Scudder has continued to age and is now well past retirement age. However, he is still tilting at windmills. In this novella, he is helping a former call girl escape an abusive client who can’t forget her former career. Within A Time to Scatter Stones, Scudder’s advancing age is almost another character. There is an exploration of how former bad a$$es deal with the slowing down of their skills. Compared to earlier entries in the series, there is not much happening here. I’m not sure I like the fact that Scudder’s aging reminds me of my own. I read to escape realities like that. However, I admit it was also rather strange that Sue Grafton’s alphabet series left Kinsey and all her other characters stuck in the 1980s for almost 40 years. Obviously, I am never satisfied. This novella is best for fans already familiar with the Scudder series. For those readers, 4 stars! Thanks to Subterranean Press and NetGalley for a copy in exchange for an honest review.